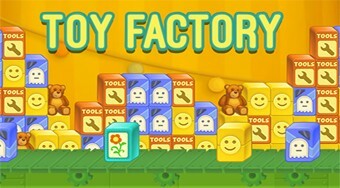 Do you like Toy Factory? Share it with your friends. Remove groups of the same toy boxes so that all the toys at their top reach the ground.